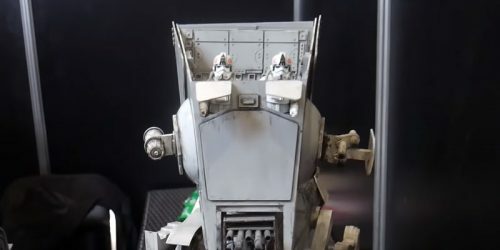 JTA reader Matthew alerted us to this video featuring some fantastic 6″ scale custom vehicles in scale with The Black Series line. These were on display recently at the Mexico City Unboxing Toy Convention. If Hasbro made something like these, especially the Snow Speeder, what would you pay for them? Sound off in the comments! Beautiful Jabba's Sail Barge Pics Taken At The Beach! New Diorama Pieces From Hole in the Ground Pro - Available Now!